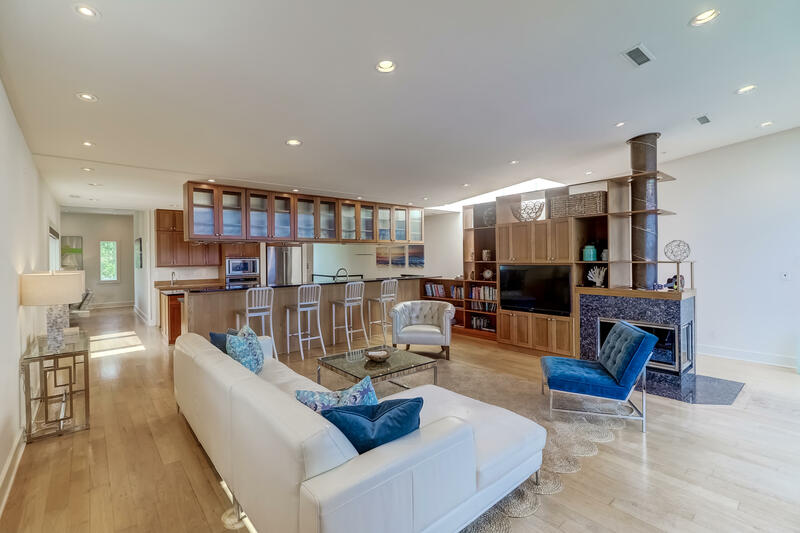 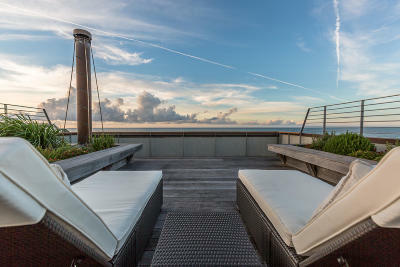 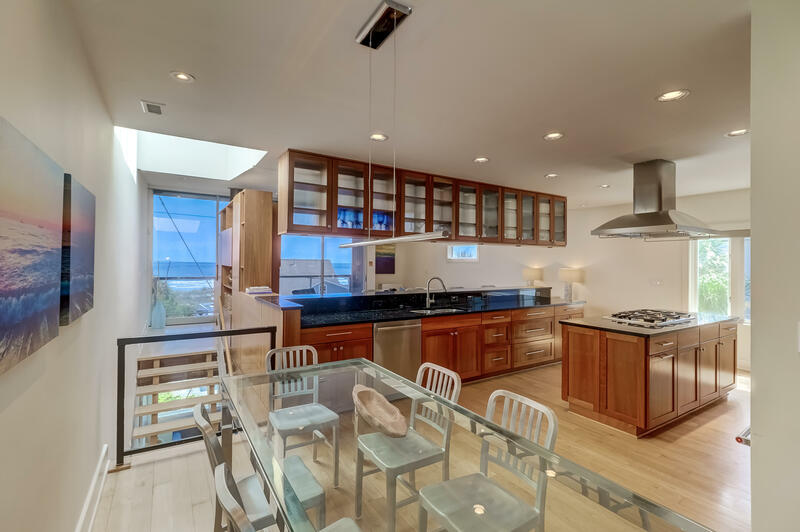 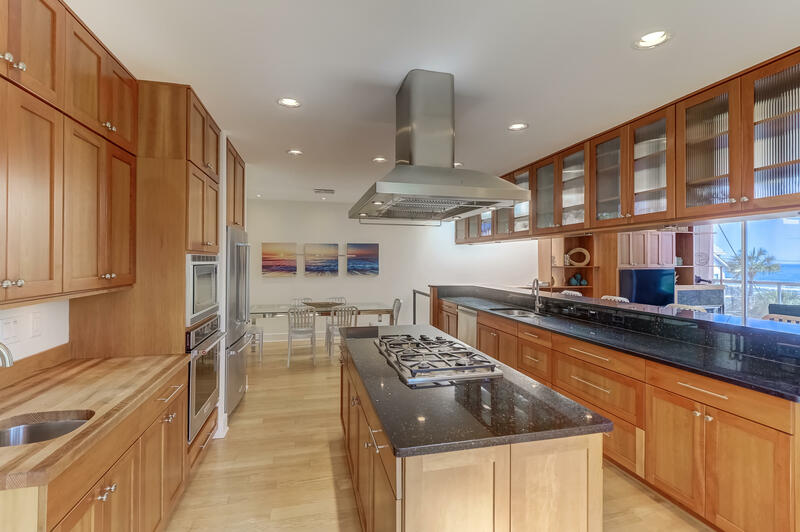 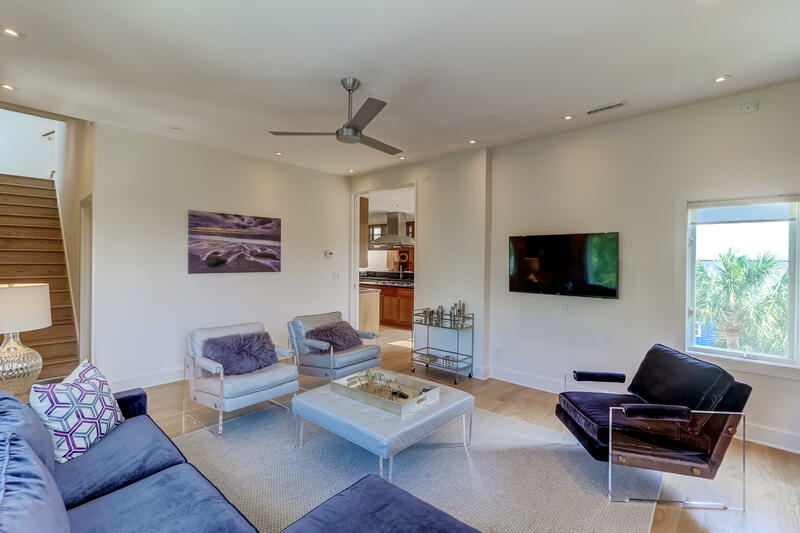 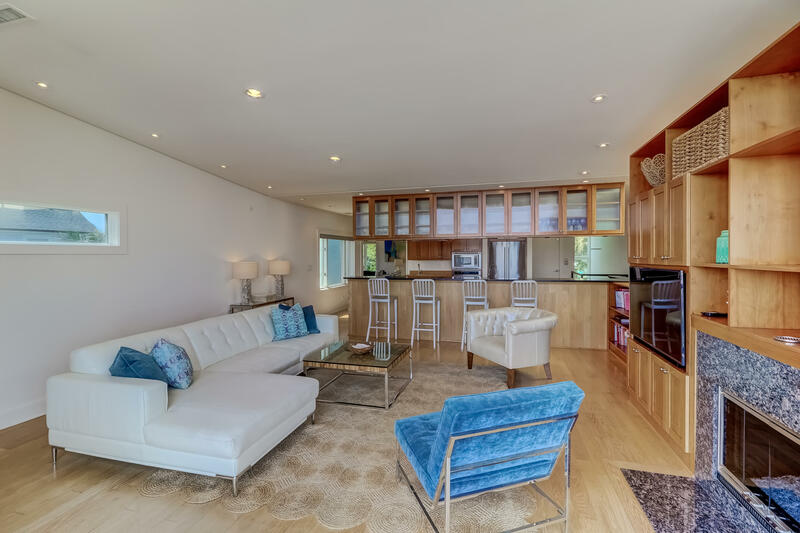 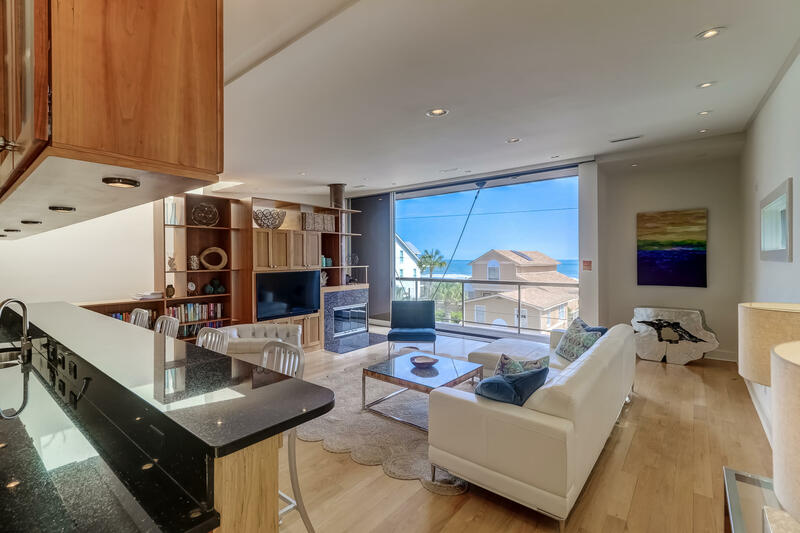 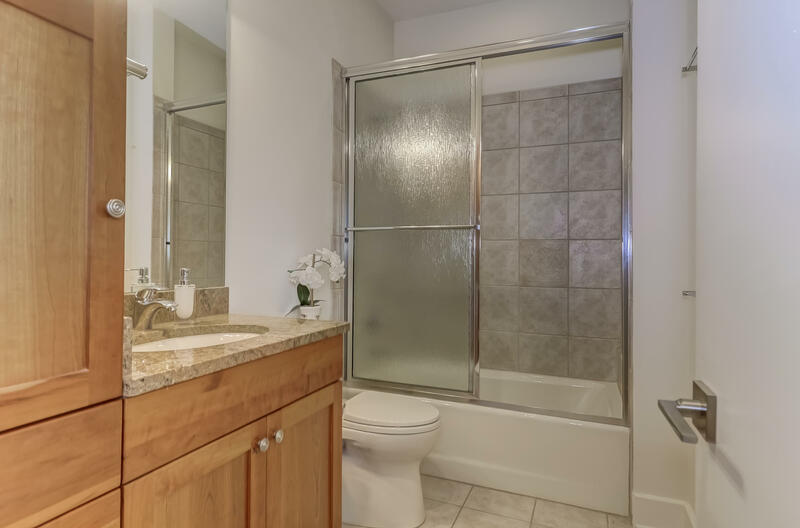 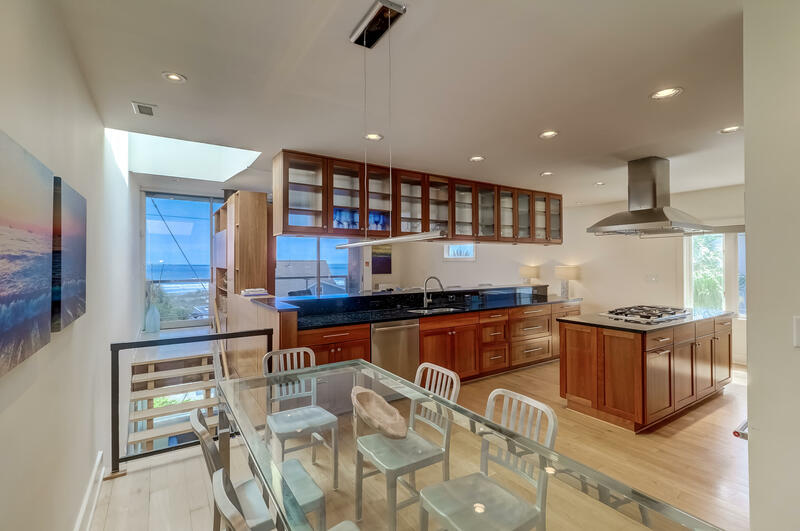 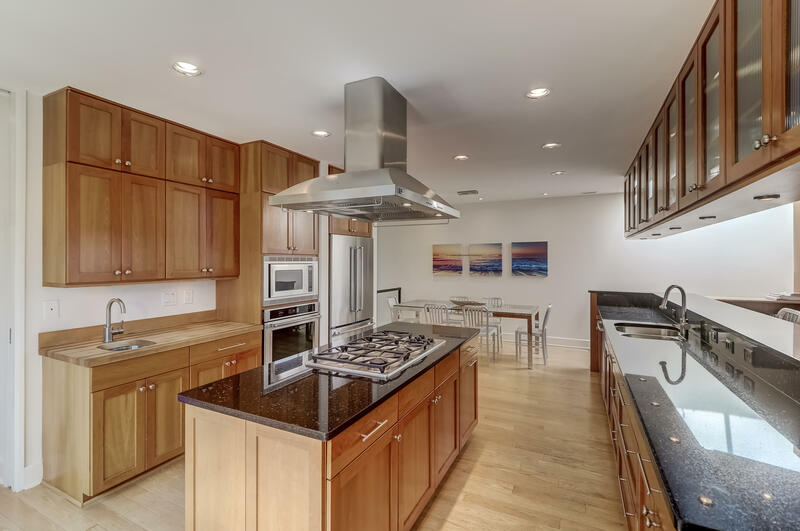 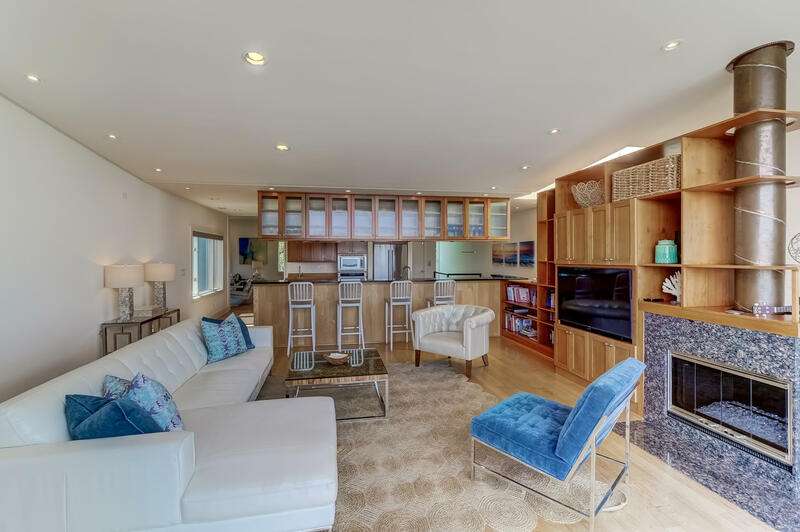 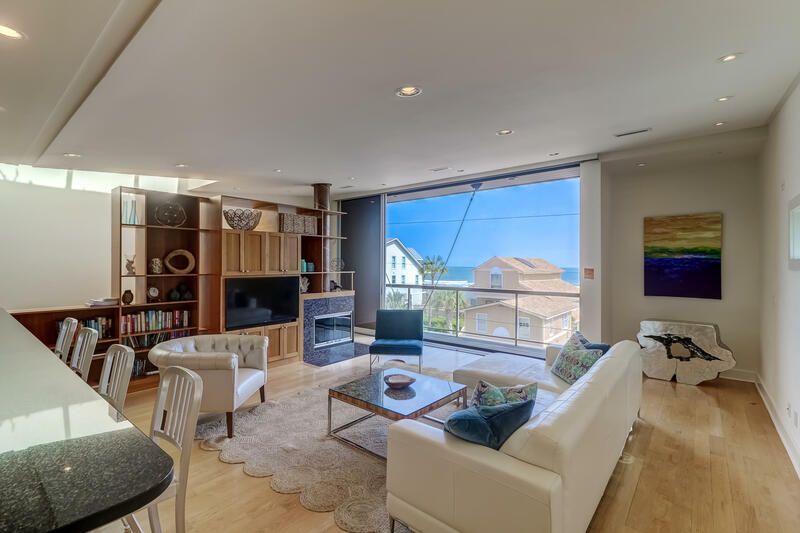 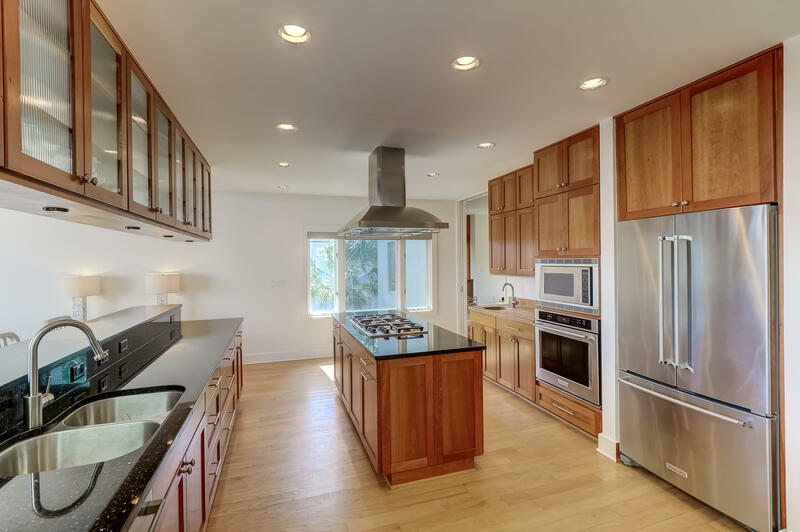 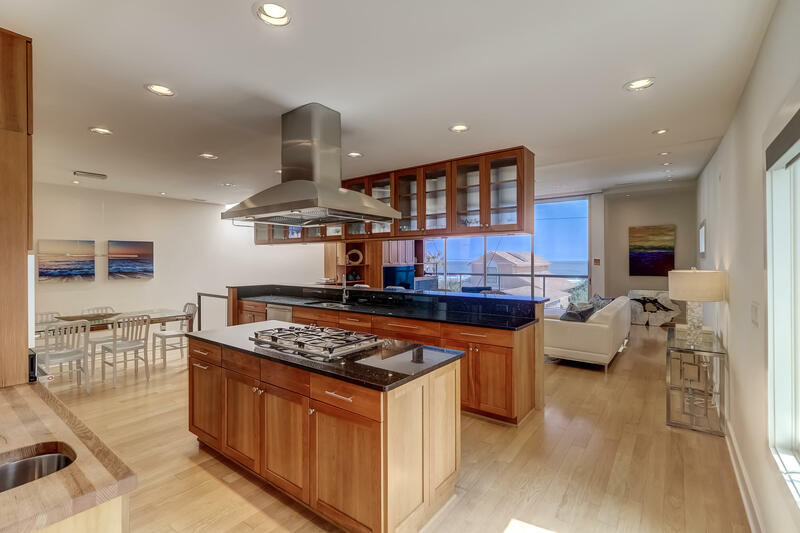 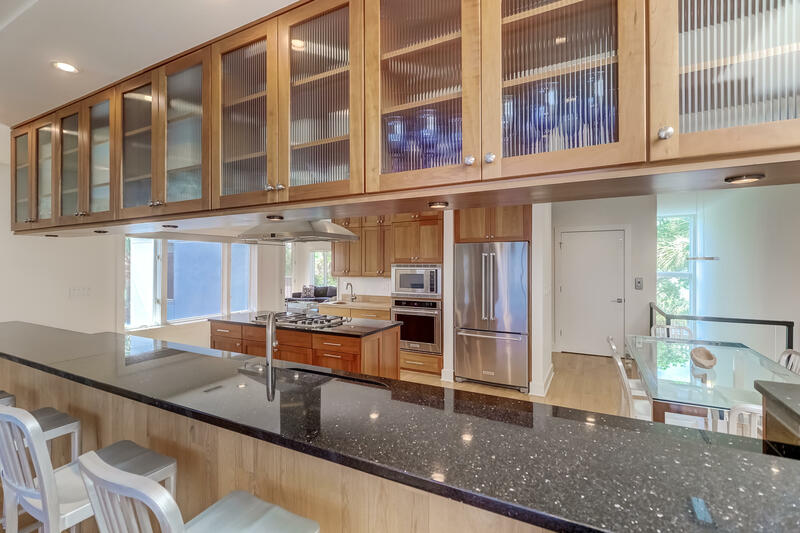 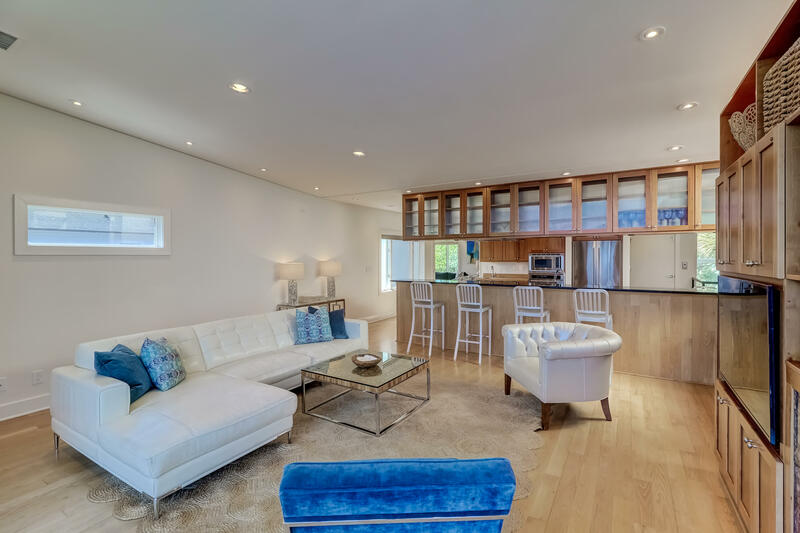 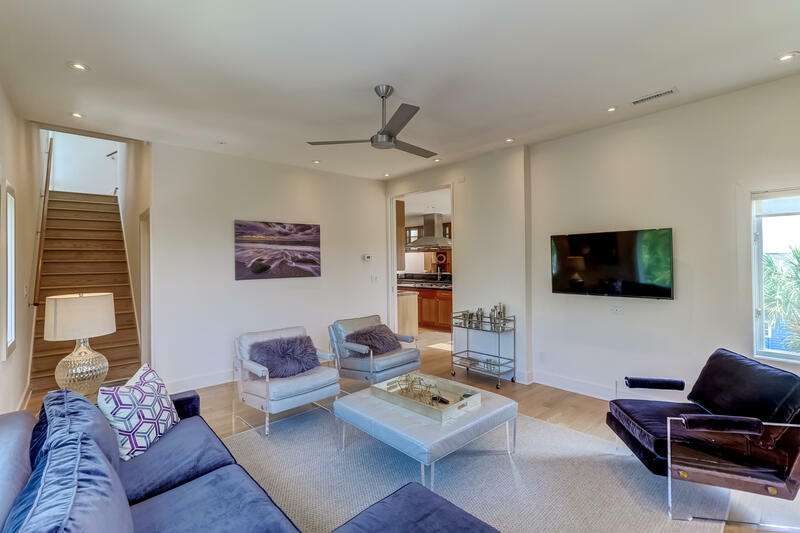 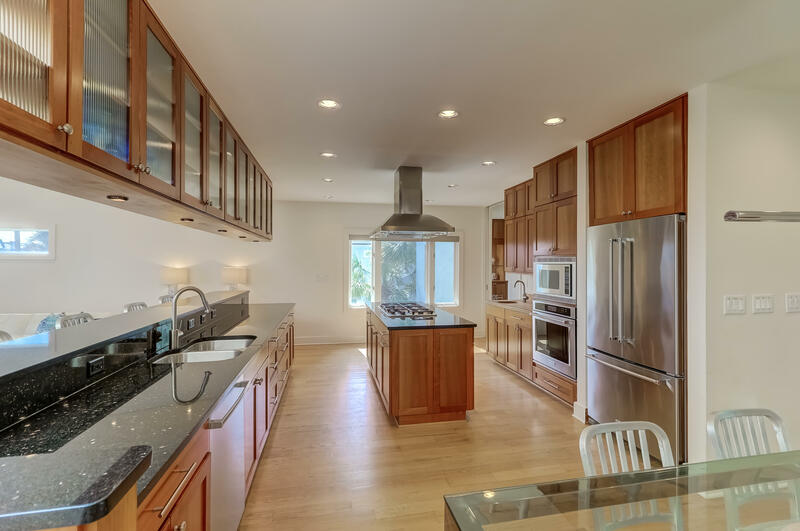 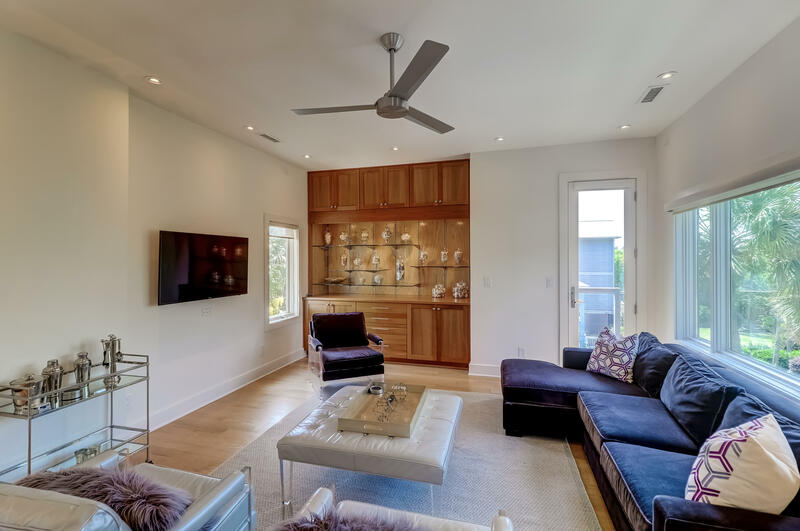 This property is a stunning architectural gem with clean, modern lines on the exterior coupled with comfortable multi-level living spaces within. 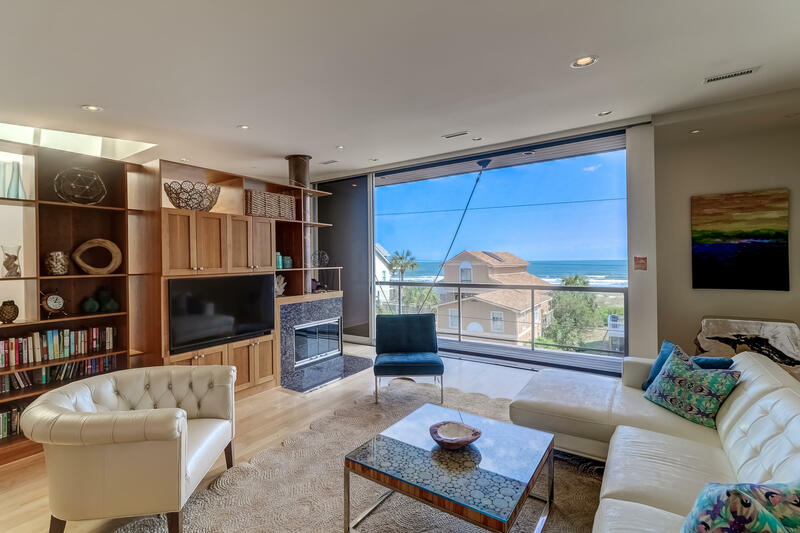 The architectural design highlights the indoor/ outdoor environment to take advantage of the phenomenal ocean view from this second row lot.The Eastern art panels of the entry gate and outdoor shower, the rock garden and Buddha statue add to the serene atmosphere. 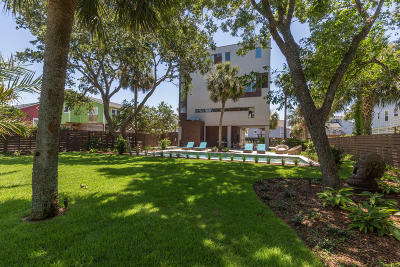 The completely fenced in ground level is stunning with a shade dappled lawn, separate sitting area and a dining table perfect for those family gatherings. 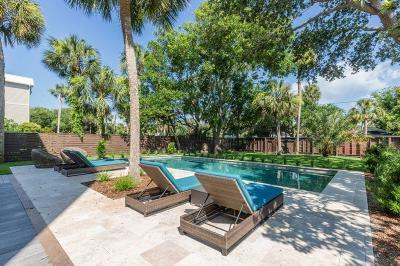 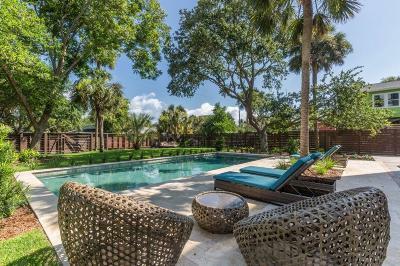 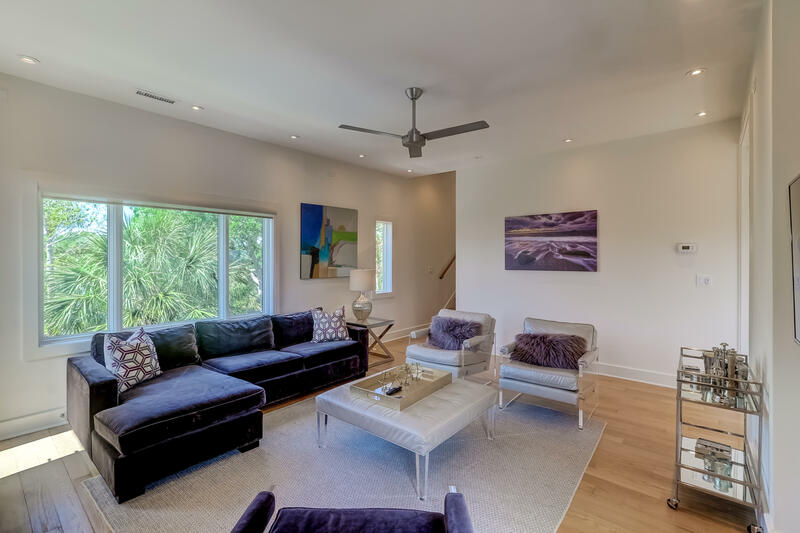 Lounge by the brand new pool and soak up the sun while taking a break from the beach.The first level of the home is comprised of three guest bedrooms and the first of several living areas. 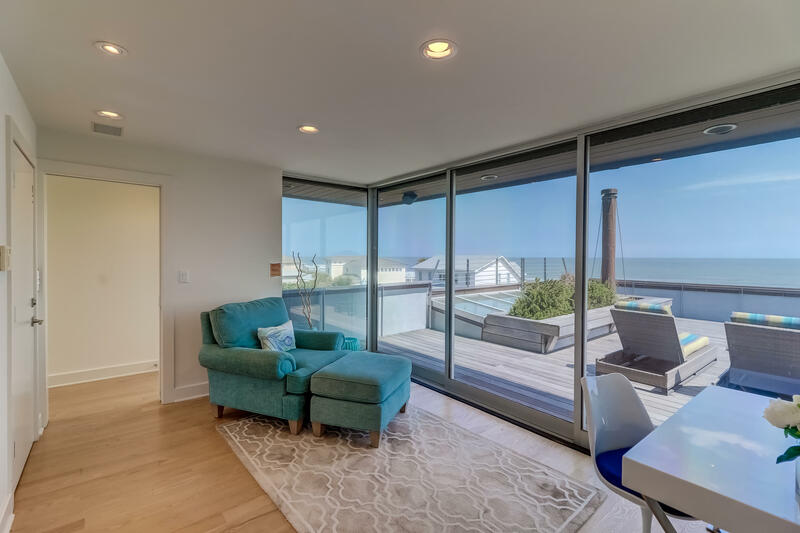 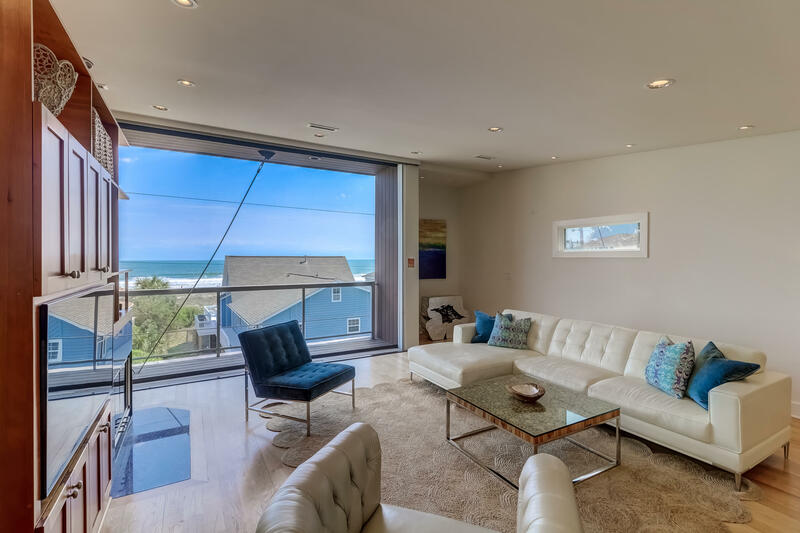 The beach-facing floor to ceiling window wall on the second level of the home keeps the ample living space bright and fresh. 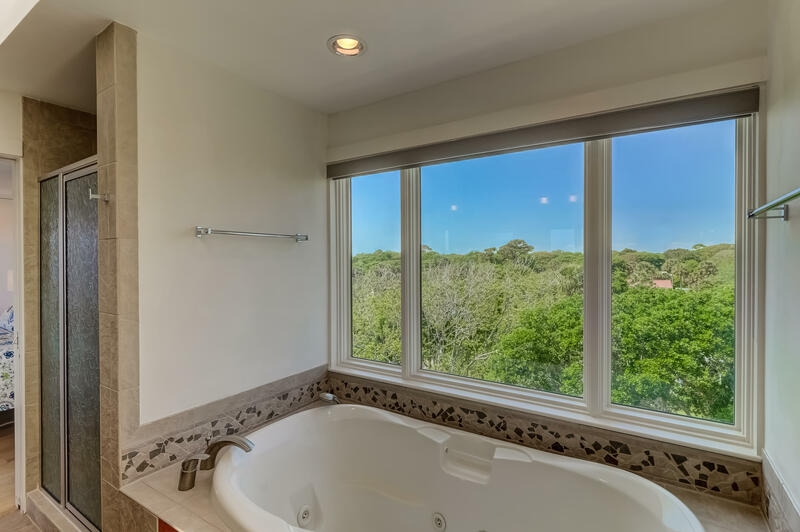 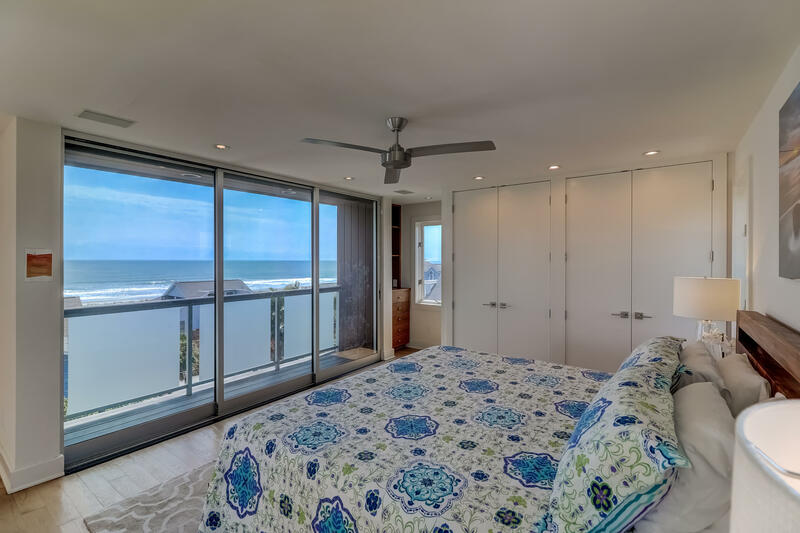 You can enjoy the views from inside or head out to the balcony using the glass doors. 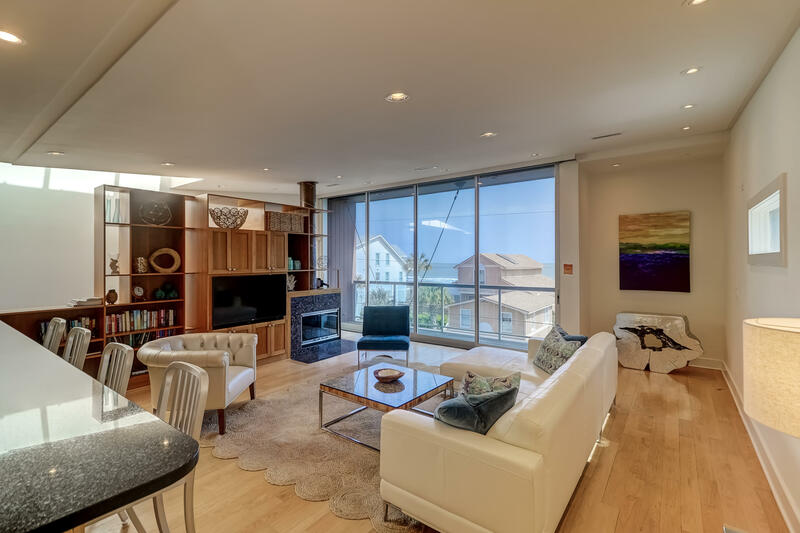 Enjoy the fireplace in the fall/winter season. 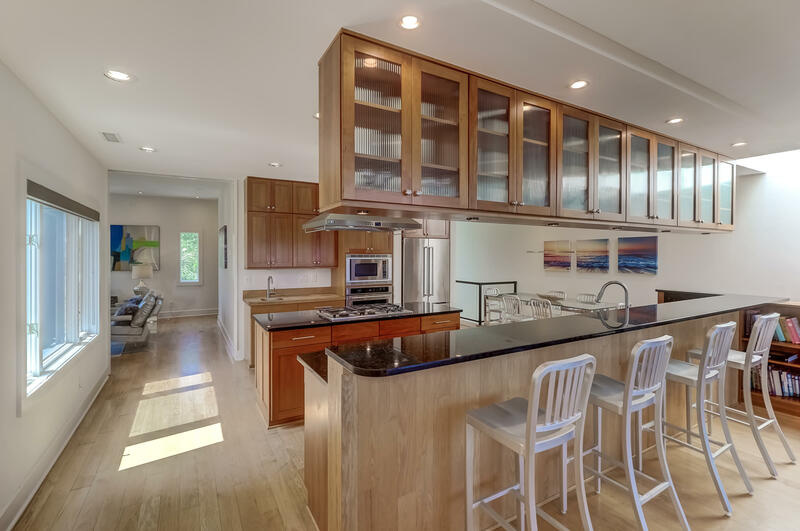 The kitchen and dining areas provide plenty of room to gather for meals, and there is a bonus living area in the back of this level, perfect for quiet conversation and cocktails. 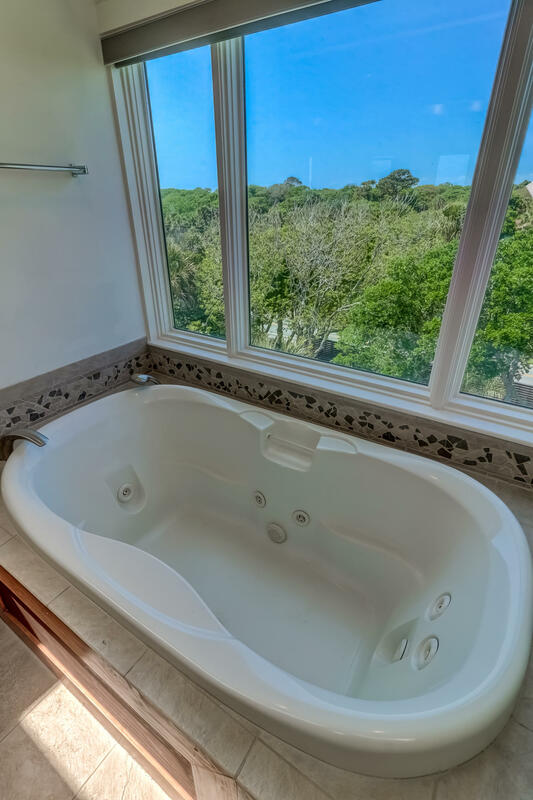 If you love the views from the first and second level, the third level will leave a lasting impression. 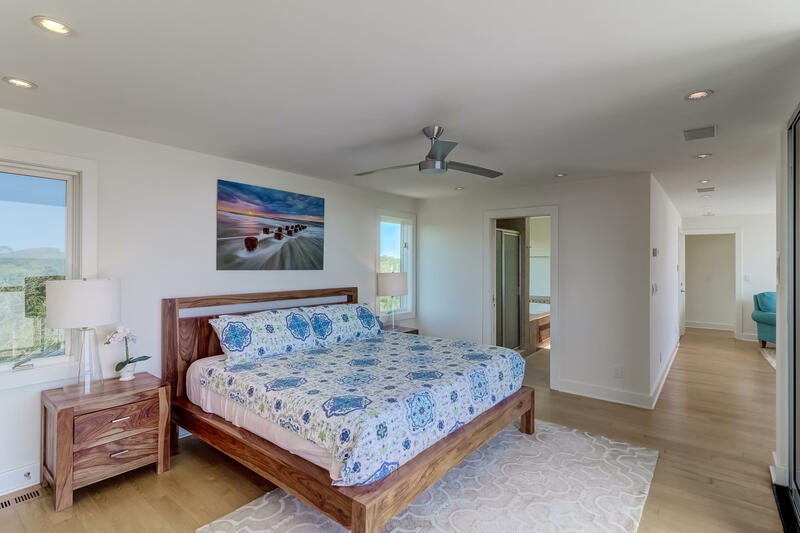 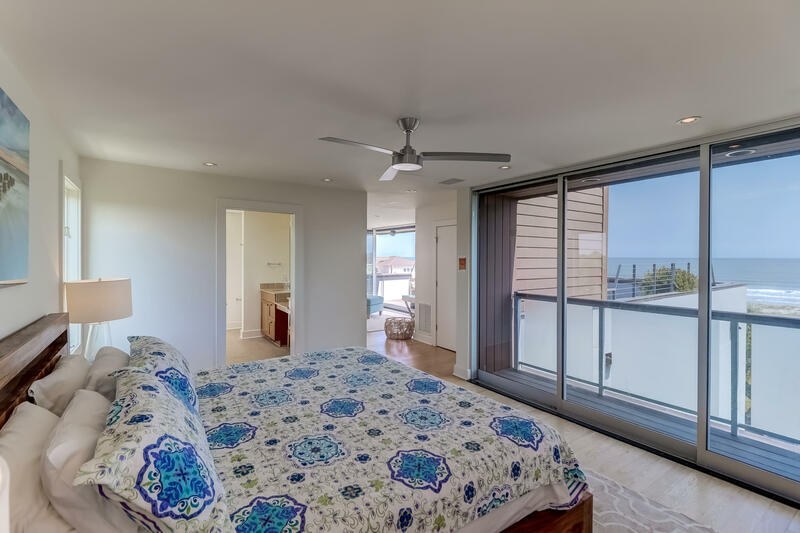 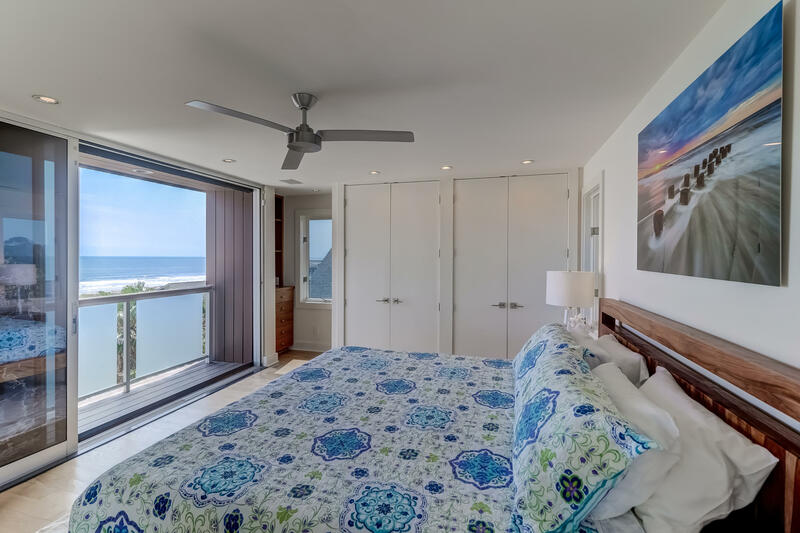 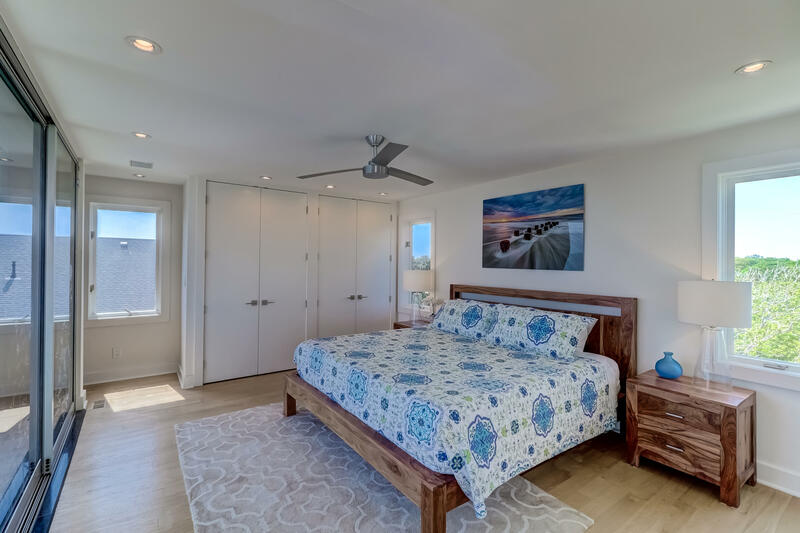 The stunning master bedroom suite is lined with floor to ceiling window walls providing full ocean views from bed or the sitting area. 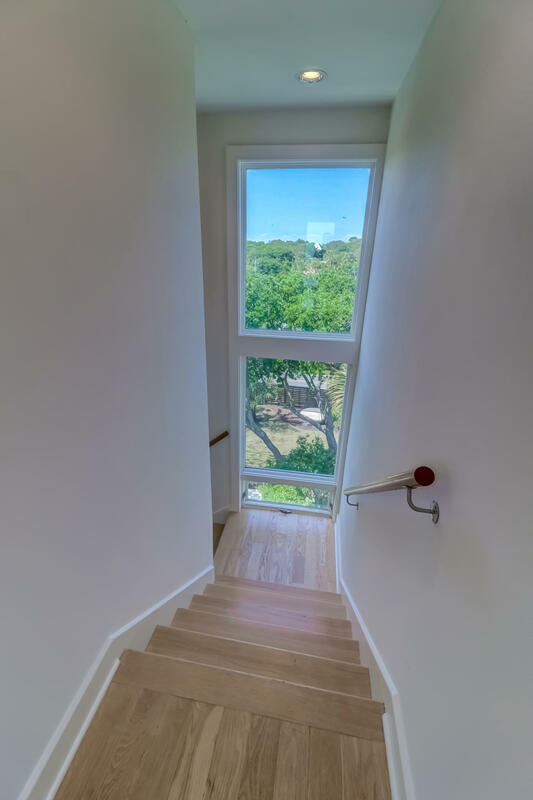 However, the real star of the show is the unmatched top deck! 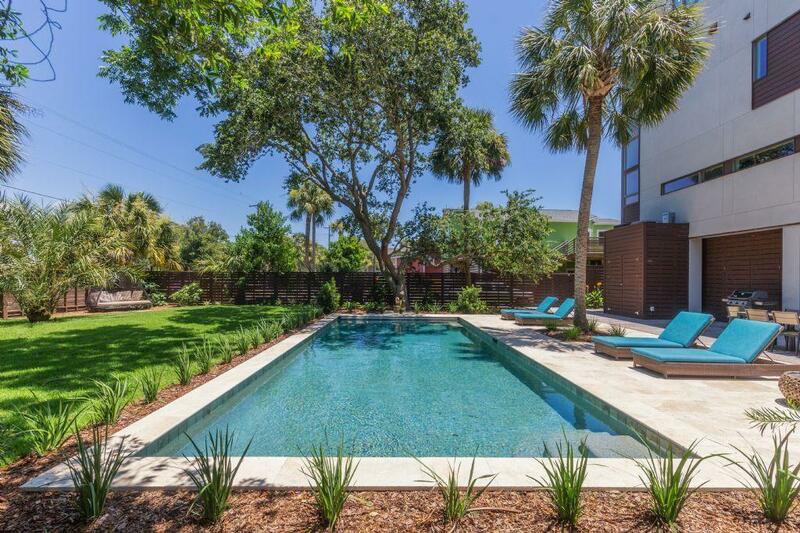 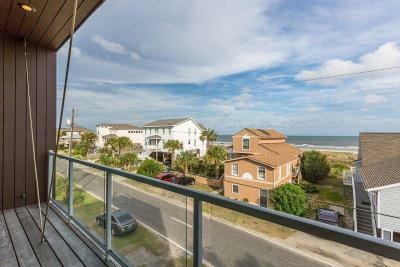 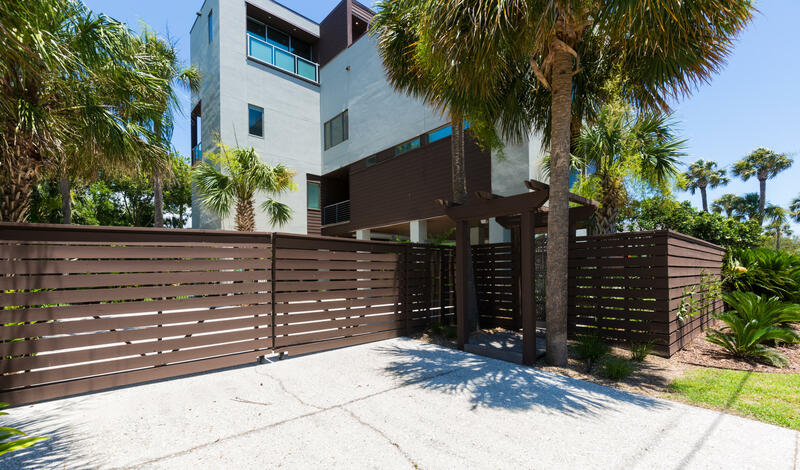 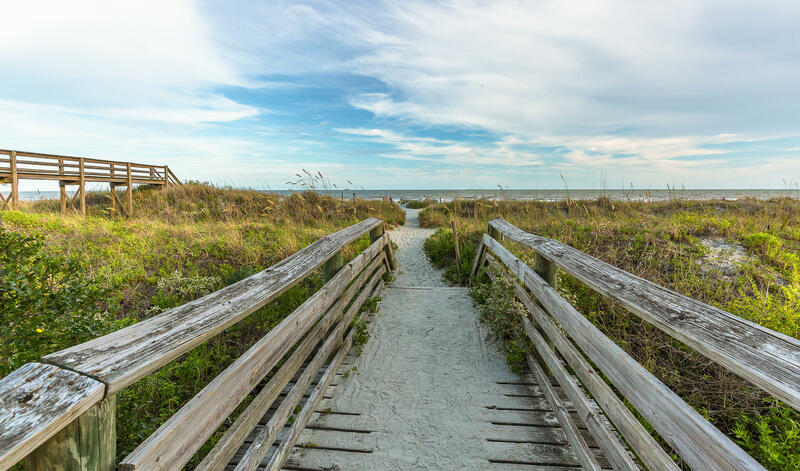 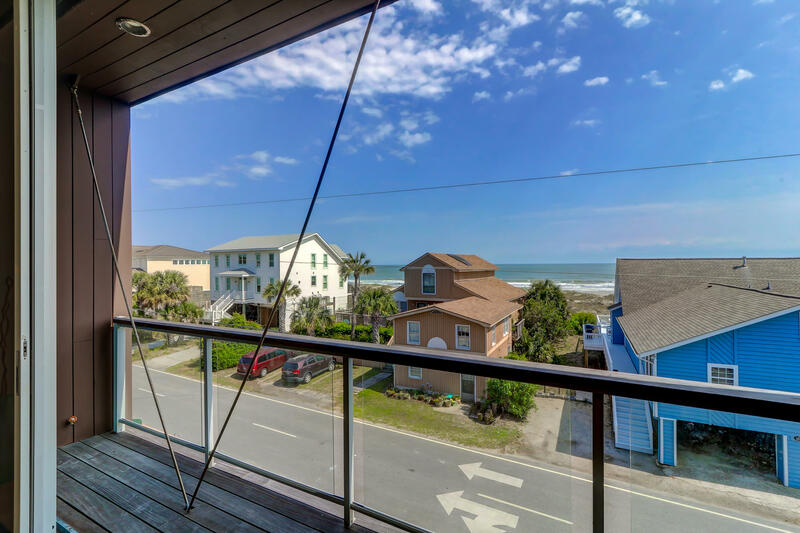 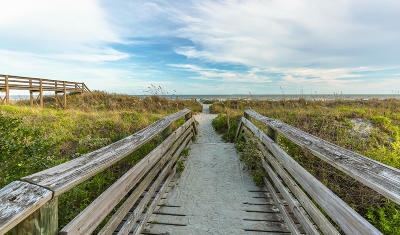 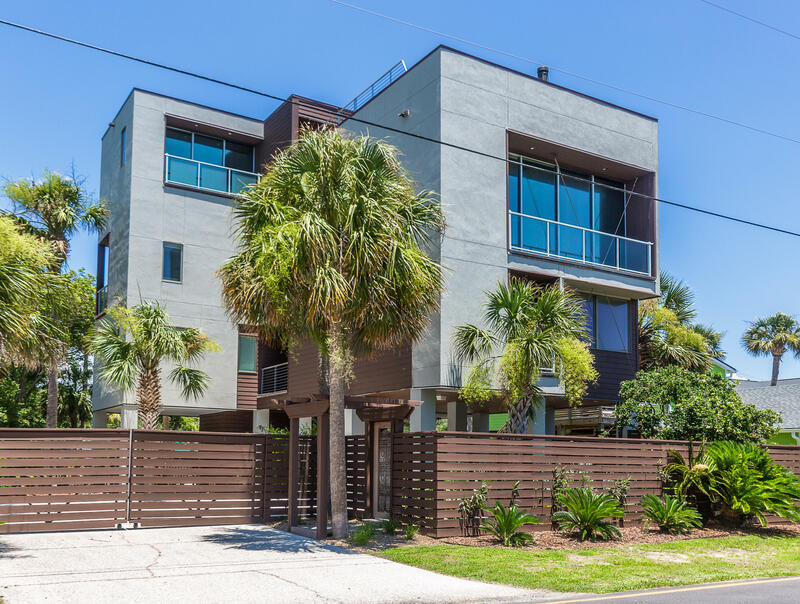 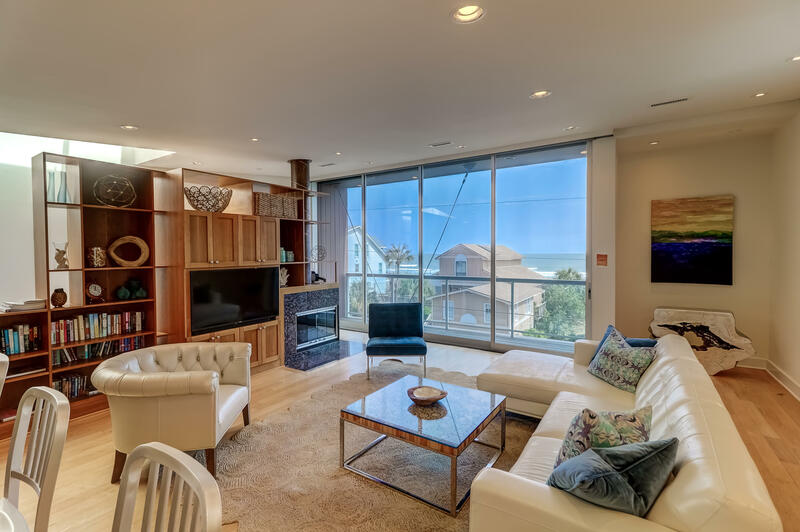 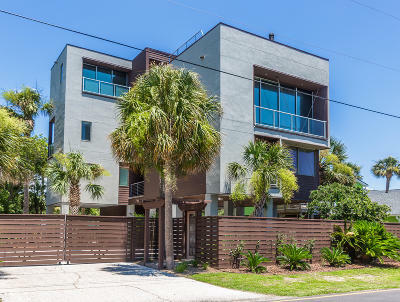 This overlooks all of Folly Beach with incredible panoramic views of the Atlantic Ocean. 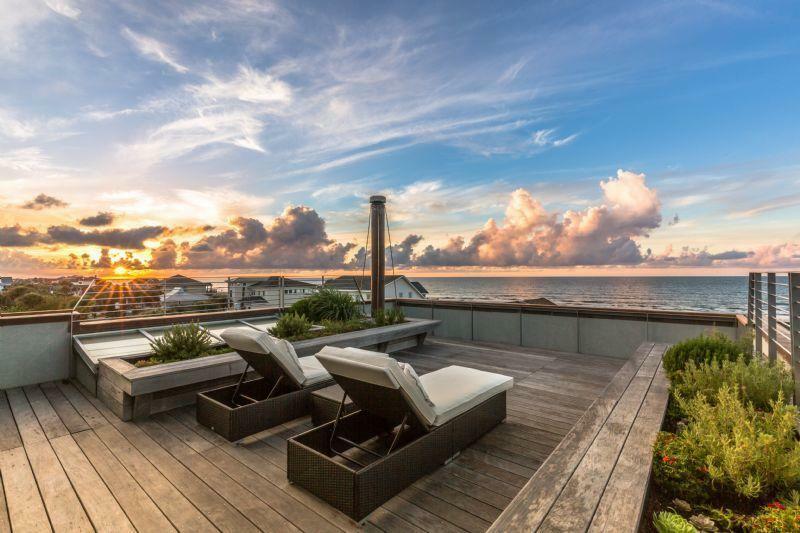 It's the perfect spot to enjoy your morning coffee while watching the sunrise over the Atlantic horizon, or wind down in the evenings with a backdrop of the picturesque Folly sunset. 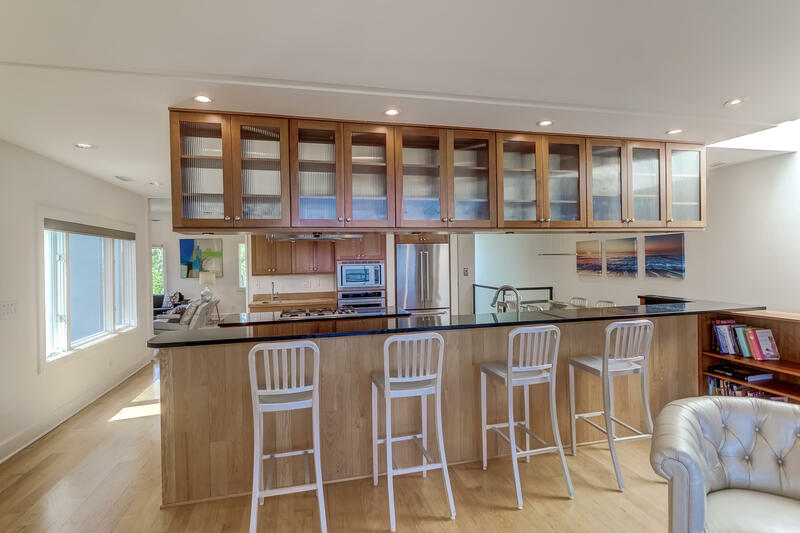 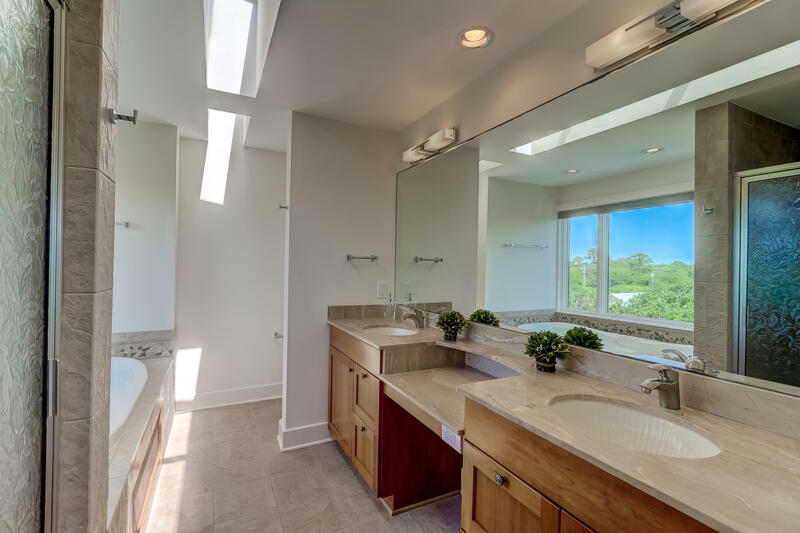 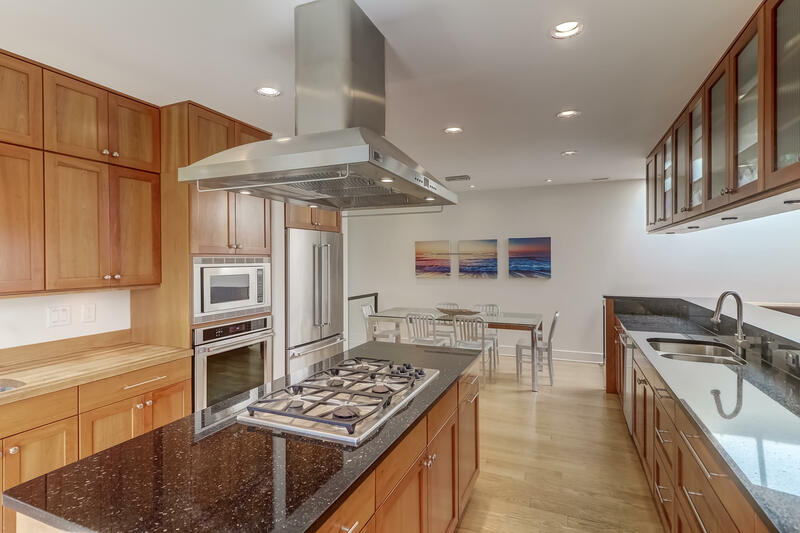 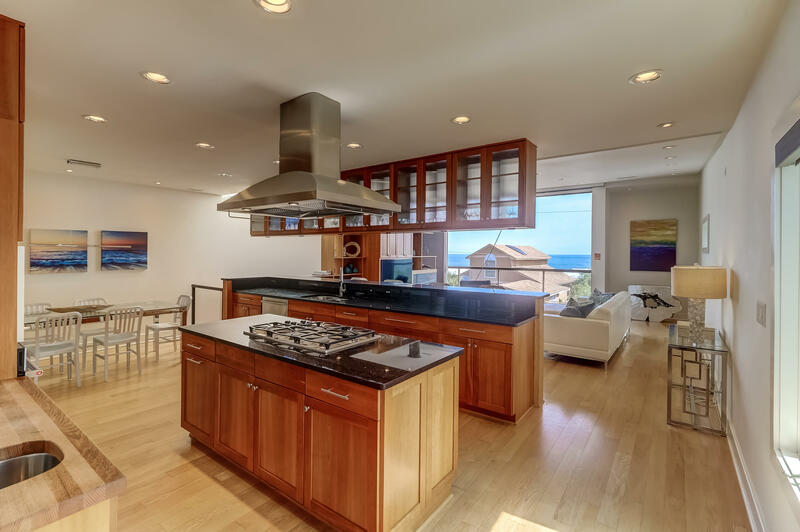 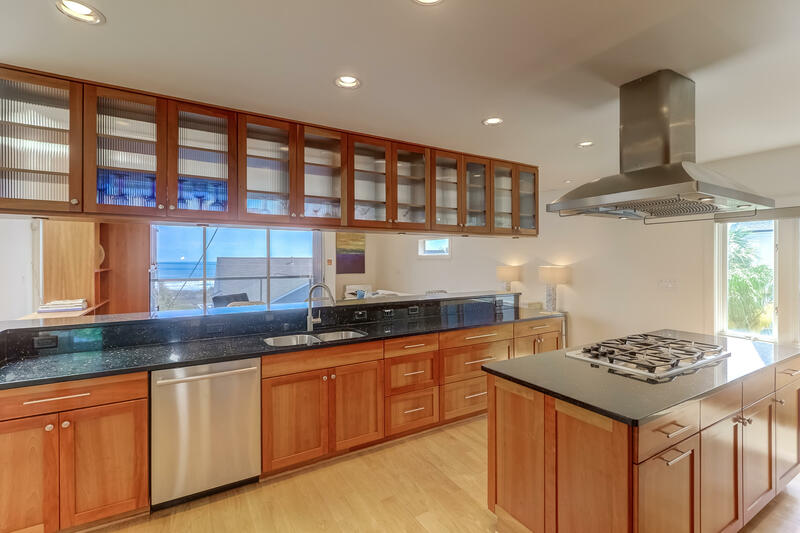 Complementing the view are aromatic herb gardens that provide fresh clippings for those who love to cook, and are the perfect complement to this home's gourmet kitchen!